Now that the winter season is upon us, it is time to bundle up in warm coats, boots and sweats. 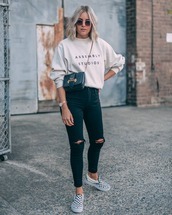 The best sweatshirts of the season can be seen all over Tumblr with great ideas on how to style this classic fashion piece. An oversized sweatshirt looks super cool paired with leggings, tall boots and a cute chunky scarf. Enhance your hipster look with a graphic sweatshirt paired with distressed jeans and a warm winter hat. 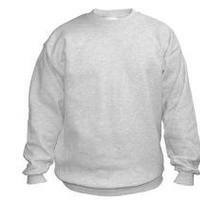 Men especially love the look of a dope logo branded sweatshirt to add swag to their outfit. Sweatshirts are a timeless wardrobe staple that just gets better and better every year.